5Ways Saturday Soccer School prides itself on it’s family friendly atmosphere. We offer gentle and professional, age appropriate coaching in an environment of positive encouragement. 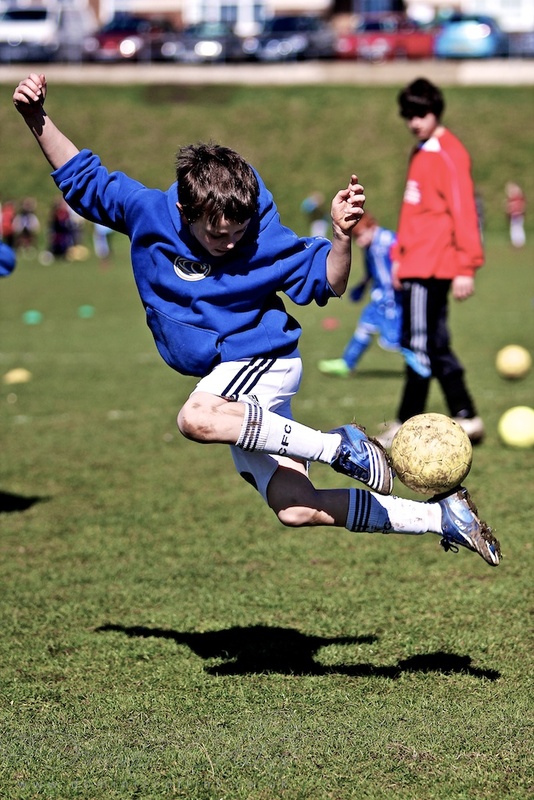 We believe that every child has the right to enjoy playing The Beautiful Game. 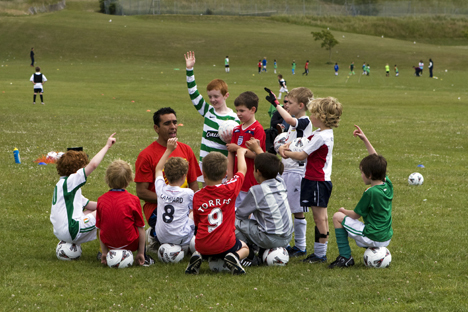 Our unique, flexible coaching structure is designed to allow all children to get everything they can out of the game. Whilst slower developers have the opportunity to play with children of similar ability, those who want a stiffer challenge can find it in the advanced groups. Certificates and medals at the end of each course then serve as a special reminder of what the children have achieved. 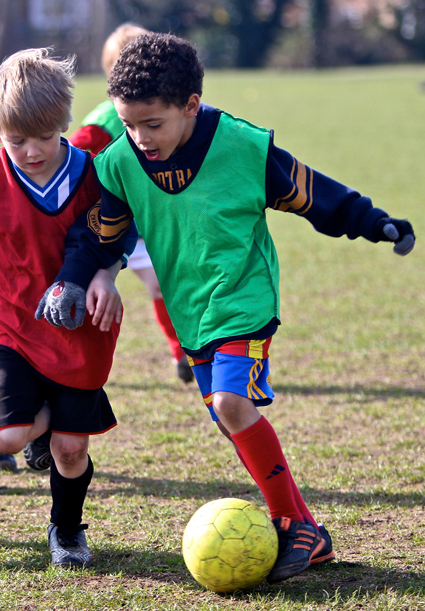 Whether introducing football for the first time to a group of 4-year-olds or explaining a complicated passing drill to the advanced group, our experienced FA qualified coaches will bring the game to life. Small class sizes and inventive, game orientated coaching sessions ensure all children have the maximum amount of time on the ball. 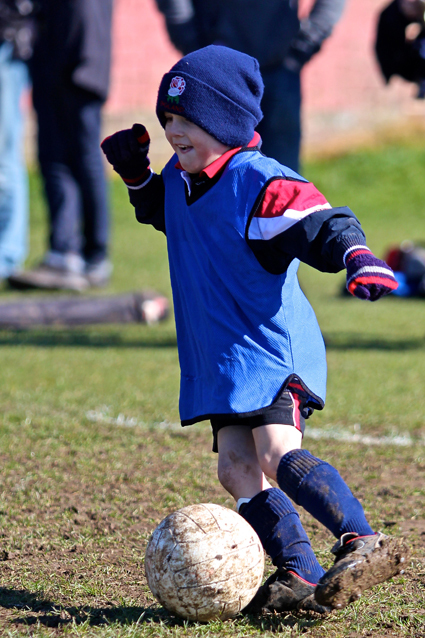 So whether your child is the next Pele or just wants somewhere to run around and have fun on the weekends, Saturday Soccer will help give them a love of football that will stay with them into adulthood. 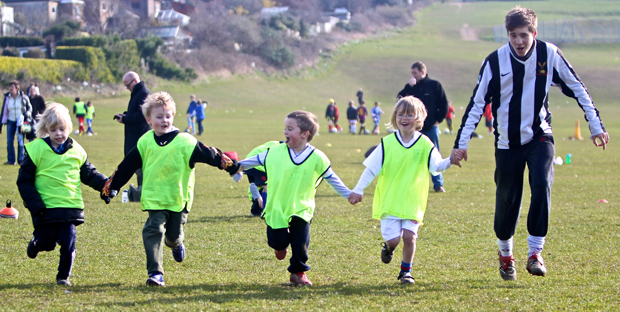 Our mission is to give the game back to the children and to put the fun back into football. Two hours of lively instruction for children who have either outgrown Mini Soccer or for beginners who want to take part in a longer course. During the first hour, the coaches teach the children skills through fun games that build on what they may have learnt in Mini Soccer. Then after a short break, supervised mini matches take place with a tournament at the end of the course. Two hours. This course is for those who are either beginners or intermediate as there are 5 separate groups and children are organised according to friendship and experience. Each week coaches focus on teaching a different skill for 1 hour and 15 minutes (turning, dribbling, shooting, passing, heading etc). 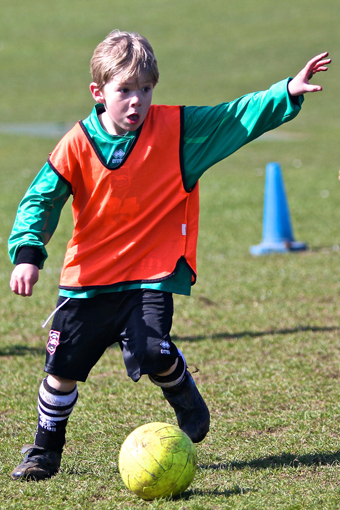 After a short lunch break children then pick teams and take part in 6 or 7-a-side matches. This course is two hours in length. It is aimed at children who have a bit more footballing experience as the focus is on practising more advanced skills (passing and moving, volleying, shooting from distance, long passes etc) and developing team related match play in 6-a-side or 7-a-side matches. A typical session in Juniors Plus will include 1 hour and 15 minutes of drills and advanced football games followed by a short break and a 40 minute match or a mini tournament in mini soccer goals. *Please Note: The prices stated above are for a 5 week course, from time to time throughout the season we run longer courses – on these courses the price will be increased pro-rata to reflect the extra sessions. Health and Safety is taken very seriously at 5Ways Soccer. Please take note of what your young football star will need before attending any of our courses. All coaches are CRB checked and hold FA coaching qualifications. Qualified first aiders will be present at all times throughout the course. Children will have regular breaks for water, snacks and lunch. 5Ways Soccer has full public liability insurance.